Dr. Jenny Mao is a well-known pulmonologist in Los Angeles, California. She got her medical degree from David Geffen School of Medicine at UCLA and did his residency and fellowship at UCLA Medical Center. She is certified by the American Board in critical care medicine and pulmonary disease. 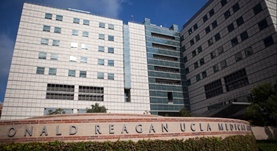 Currently Dr. Mao is affiliated with Ronald Reagan UCLA Medical Center. Dr. Jenny T. Mao has contributed to 3 publications. Polymorphisms of peroxisome proliferator-activated receptors and survival of lung cancer and upper aero-digestive tract cancers. Yang, Y.,Burke, R. V.,Jeon, C. Y.,Chang, S. C.,Chang, P. Y.,Morgenstern, H.,Tashkin, D. P.,Mao, J.,Cozen, W.,Mack, T. M.,Rao, J.,Zhang, Z. F.; Lung Cancer. 2014 Jul 22. Szabo, E.,Mao, J. T.,Lam, S.,Reid, M. E.,Keith, R. L.; Chest. 2013 May. Green tea inhibits cycolooxygenase-2 in non-small cell lung cancer cells through the induction of Annexin-1. Lu, Q. Y., Jin, Y., Mao, J. T., Zhang, Z. F., Heber, D., Dubinett, S. M., Rao, J.; Biochem Biophys Res Commun. 2012 Nov 2.